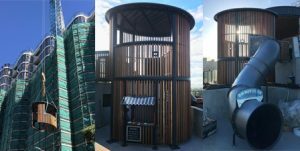 Sydney based children’s playground supplier Rhinoplay was commissioned to create a kid’s retreat two tier playground with slide and viewing deck for the roof top of Brisbane high rise development Valencia Residences. The cubby house was constructed by Kiel Industries over an 8 week period, transported to Brisbane and craned into position. Another innovative product partnered by Rhinoplay and Kiel Industries. 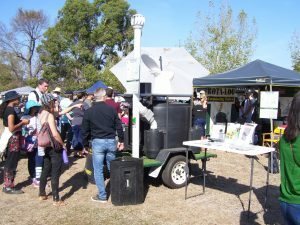 Thank you to everyone who came to visit our Rota-Loo stand at the Off Grid Living Festival in Eldorado. We had over 300 visitors check out our display. You can view our demo model and talk to our friendly staff about your potential installation at an upcoming event near you. 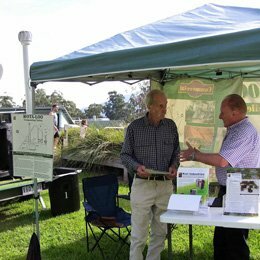 Please visit our Rota-Loo website www.rotaloo.com.au for further details. After many years of association with Rota-Loo, Kiel Industries is proud to announce its acquisition of the full product rights to Rota-Loo composting toilet systems. Rota-Loo dry composting toilets are waterless, odourless, energy self-sufficient, easy to install, easy to maintain, and converts fresh waste into organic humus. We are continually working on new and innovative projects at Kiel Industries. Here are some of our upcoming and past projects. Give us a call if you would like to discuss your next project. 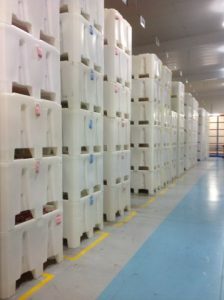 American-owned Australian Walnuts approached Kiel Industries to design and manufacture a hopper bin for the harvesting and processing of walnuts in their new facility based at Griffith in New South Wales. The American company is using a hopper bin in the U.S.A. which is manufactured locally for them, however, it was uneconomical to export the American bins to Australia. Australian Walnuts also felt that some redesign was necessary to suit Australian conditions. The new 980-litre hopper bin features four-way entry and has a wide mouth opening for easy discharge. The discharge area can be modified to accommodate a variety of gates. The bins are stackable and available with lids. 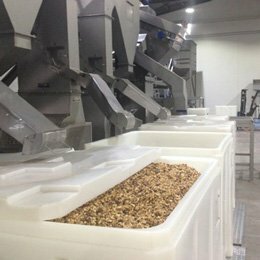 When Arnotts Biscuits Australia needed a new method of reliable, continuous snack biscuit supplying for its high-speed weighers and feeders in order to complete packaging, it sought the assistance of two Australian manufacturing companies that are both leaders in their fields. Victoria-based Kiel Industries collaborated with Pro Ali Design in Sydney on the project to design and build a new production line for the snack biscuit manufacturer — a project that illustrates the expertise and skill of the two companies. Kiel Industries supplied their KB650 bin for the project. The KB650 is a double wall bin that has smooth internal surfaces with radiused corners that ensure all products are easily emptied without biscuit residue being trapped.